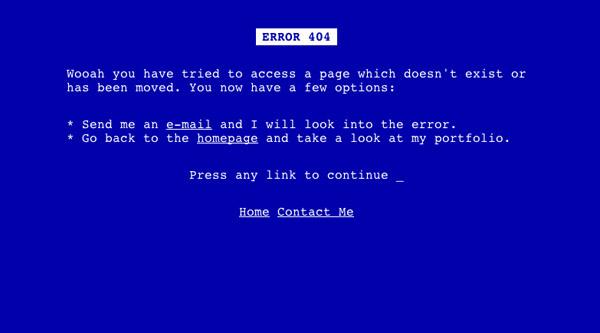 Have you ever come across a truly excellent 404 error page? We’re talking about the type of page that made you laugh out loud despite your misfortune of coming across it when looking for something else or a 404 error page so funny you wanted to share it with a friend. Some of the most popular sites on the web are famous for their attention to detail, uniqueness and quality. This includes things like error pages. There is so much more your 404 page can do other than just tell the browser they have landed on a bad page. Maybe they typed the URL wrong or maybe the page is broken but you can use this as an opportunity and WordPress makes it a lot easier than you might think. WordPress SEO expert Joost de Valk (yoast) reports from years of doing SEO audits that most WordPress site owners don’t go past the default when it comes to creating 404 error pages. You can greatly benefit from optimizing your error page but the truth is, most site owners are not. Use it to link your sitemap. Give a simple, branded apology for the inconvenience. Possible hints on how to resolve the problem (ie. “Were you looking for ___?”) or a search bar for the site to help them try again. Links to the home page or other popular content on the site so they don’t just navigate away completely. 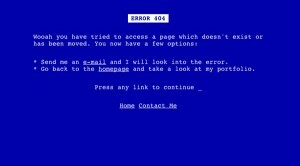 Now that you know some other ideas for what to do with your 404 error page, you should also focus your efforts on preventing these errors in the first place. Ideally, we would never have errors on our site but we all know this just isn’t always possible. So we do the best we can to maintain and prevent. Design with solid, well-structured permalinks from the start of the project. When removing old content, save it properly and set up proper redirection or page migration. Always keep a check on your incoming links and ask website owners to correct them if they are broken. Test your pages and navigation regularly to ensure all is working properly. There’s really no excuse not to have a great, optimized 404 page for your site. If you are unable to design it yourself, seek help from a WordPress designer who is experience in WordPress sites. Do you use a unique 404 error page? We want to hear about it in the comments.